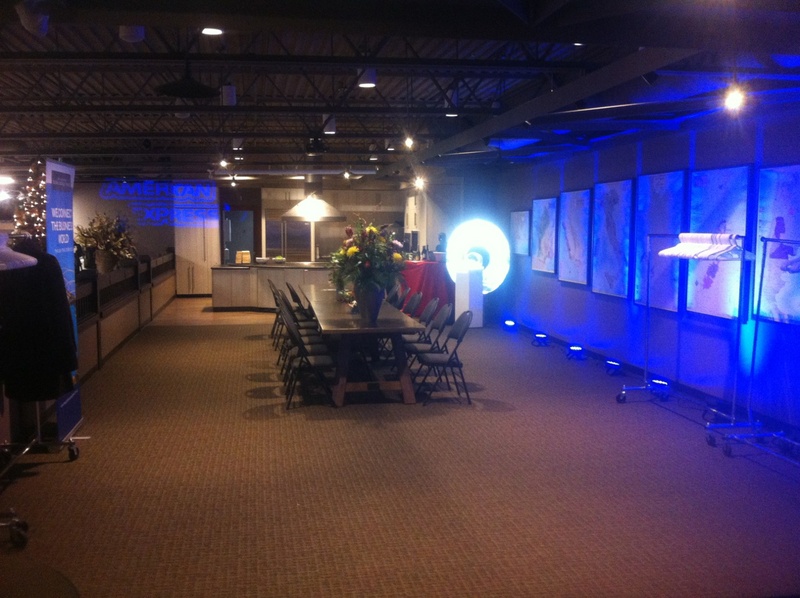 We had the pleasure of providing custom lighting solutions for a recent American Express event at the Willow Park Wine and Spirits Liquor Store. 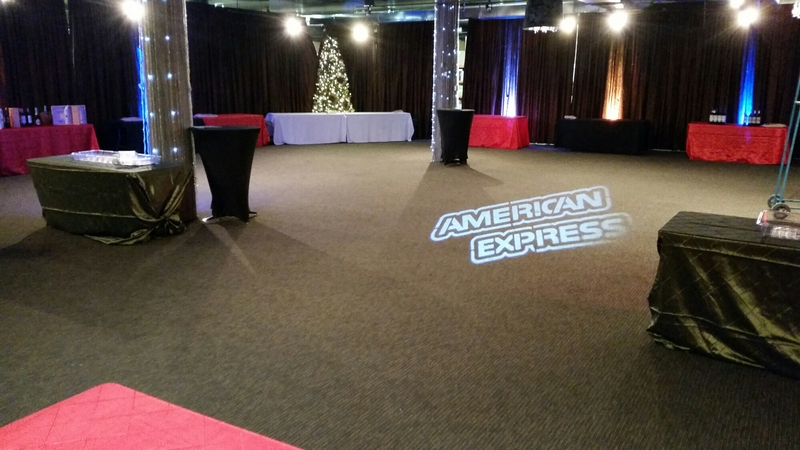 Pictured above are two gobo projections from our Leko lights. 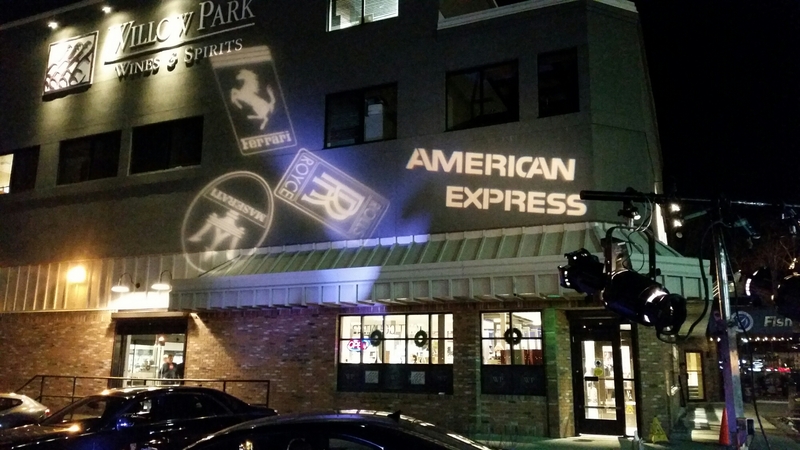 We used Adobe Illustrator to combine the three vehicle manufacturer logos into one working gobo for this event and set it in the Leko with a gobo rotator. Inside the venue we highlighted the room with some up-lighting as well as another custom gobo which rotated around the room with one of our moving head LED spot lights. After discovering there was no stage lighting available we had a few extra fixtures on lighting stands to wash the band delivered. 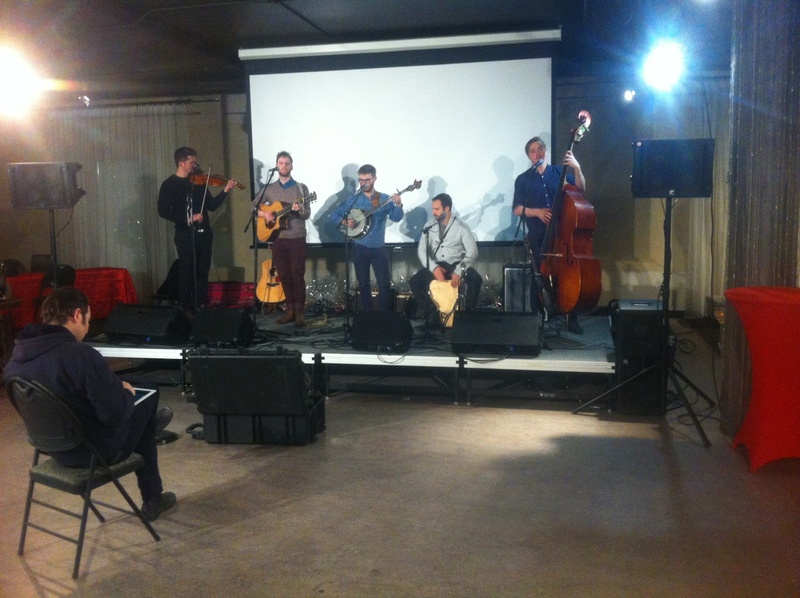 Below is the band Rotary Park with their sound technician Mike Watson. Lastly a shot of the cars we wished we delivered the equipment in. Alas they were the sponsor displays. 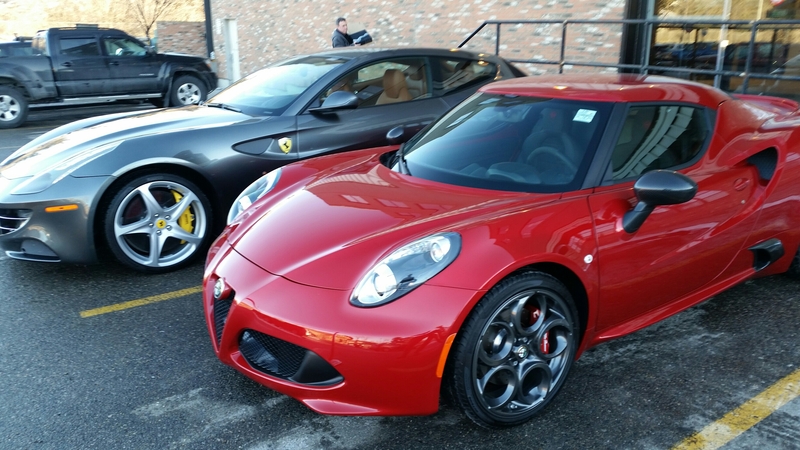 A beautiful Alfo Romeo and Ferrari. It’s difficult to plan every light position at an event like this so we ended up bringing out eight additional fixtures to get the effect we wanted. 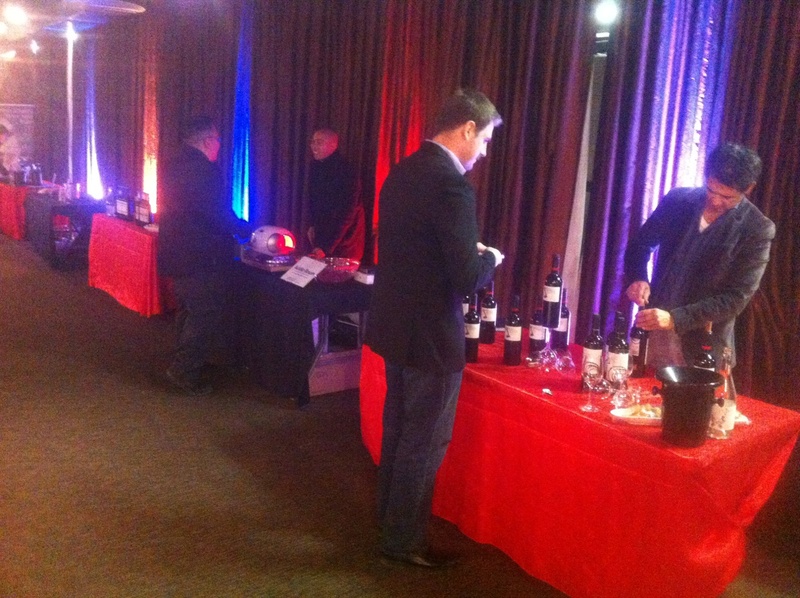 Luckily we are able to be fluid in this regard which certainly helps to pull off a smooth event.